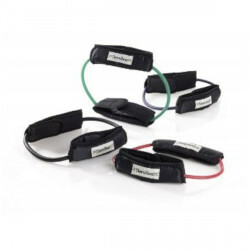 The Thera-Band Tubing Loops are exercise tubes with comfortably padded cuffs to do strength and stabilization exercises. 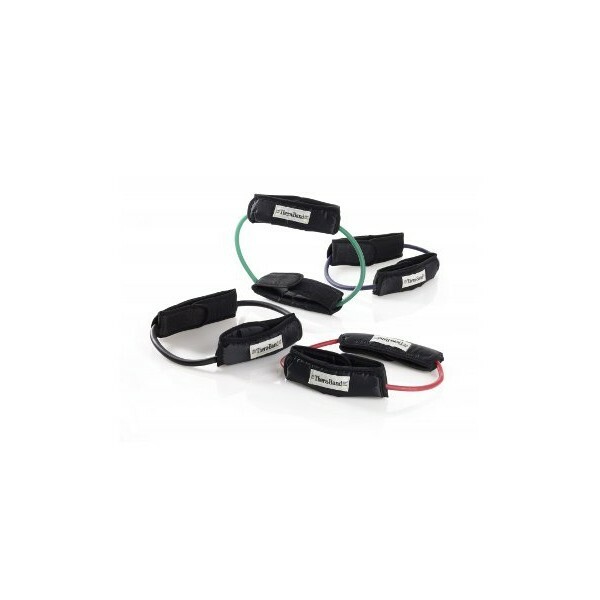 The Tubing Loops are available in four different strengthes, are fixed on ankles, and are suitable for thighs and sport-specific training exercises. The provided instructions offer easy exercise tips for an effective workout. Great quality. Having used it now, I should have gone for the 'strong' version of it as this one is too light and easy. Ein einfaches und effektives Trainingsgerät für zu Hause und unterwegs. Die Manschetten machen das Üben komfortabler. Schade nur, dass die Übungsanleitungen in englischer Sprache sind.